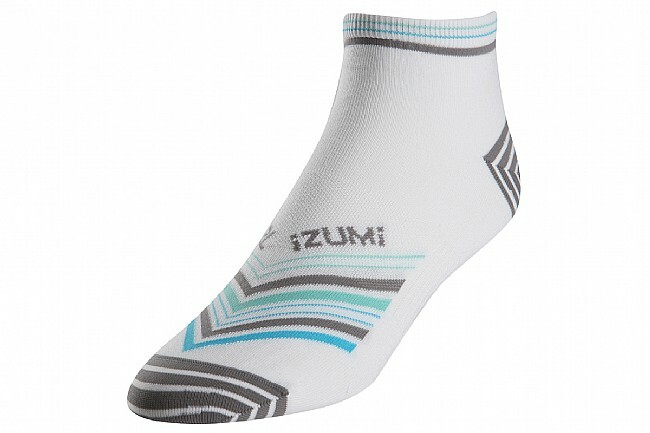 Stay well within the UCI's sock height restriction with Pearl Izumi's Women's Elite Low Sock. 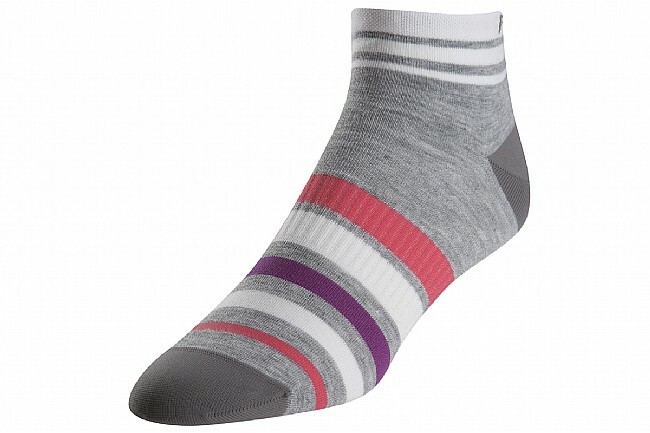 It features a seamless toe for blister-free riding and a compressive arch for a secure performance fit. 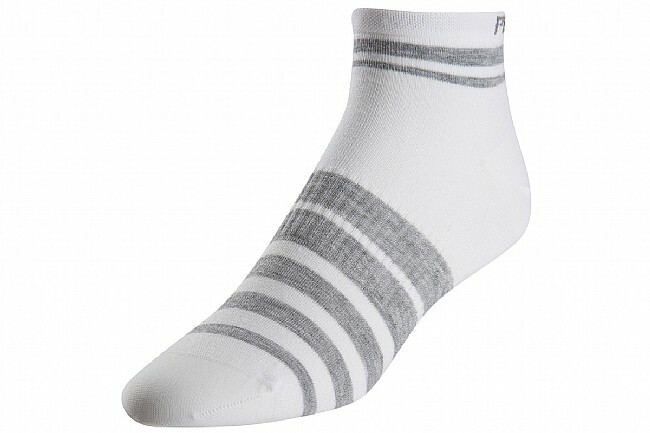 ELITE Transfer fibers are highly-moisture wicking, and a mesh forefoot provides excellent ventilation. Low cuff height. 69% polyester, 27% nylon, 4% spandex. Don't stretch, big in the wrong places. Thin and cool, so will probably use this summer.